I flew to Long Island and bought the car 11/2008 and drove it back to VA, with around 38k miles on the car. 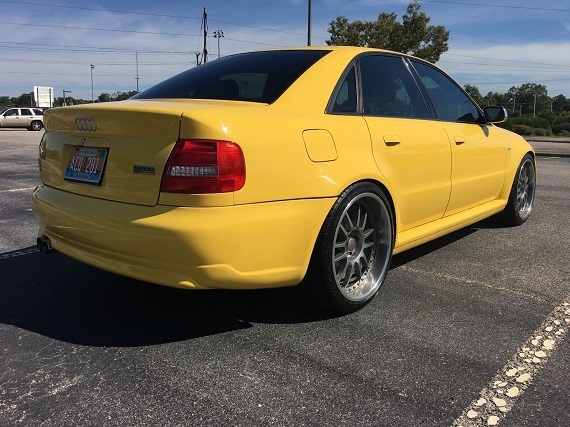 The RS4 bodywork was already done and it had a AWE stage 3 turbo kit. I pulled the perfectly good running engine 5/2009, sold the AWE kit and installed Autospeed GT kit, along with other required mods such as forged rods, etc. I also had the original heads worked by Autospeed to support 8k rpm limit. After finally getting everything installed, I trailered it to Connecticut 10/2011 and had EPL dyno tune three different ECUs. 575whp 93+meth, 600whp E85, 650whp E85+meth (2.36 sec FATS) Itâ€™s been 5 long years since dyne tuning and sitting quite a bit so I canâ€™t guarantee the exact same hp numbers. As of today, the car has 44,650 miles on it. I went to the dragstrip one time but got rained out. I have never dropped the clutch due to the wide tires, all metal clutch master clutch and concern about breaking something. Iâ€™d like to sell it to someone who understands this type of car and is able to work on it. For example, if you do something as simple as removing an intake hose and donâ€™t clean it and re-torque the hose clamps properly the hose can blow off at high boost and overspin/blow a turbo. My other concern is the 100% meth injection system is highly flammable. If you take a line apart you need to be very careful itâ€™s put back together properly. Anyway, the car is a blast to drive but being an engineer I enjoyed the build more than having it sit around and only being able to drive it on occasion. My other issue is we bought a house recently without a large enough garage to store it in and my wife likes to park her car in it. Most banks wonâ€™t loan more than stock value on cars so please donâ€™t bid too high only to be told you canâ€™t get a loan for that amount. Iâ€™m really not sure of current market value which is why Iâ€™m listing it on Ebay today. Of course, all offers will be considered and cash in hand is good! I have a clear title from Michigan. We moved up there for 1.5 years and returned to Virginia Beach recently. It runs right at 20 psi (minimum) base boost on those springs. AMD inline 044 pump/relay kit installed in factory fuel filter location and 044 pump in the tank (two 044 pumps in series), stock in-tank plastic hose and no check valve installed (causes slight delay in starting but wanted to reduce pressure loss), small inline fuel filter in the engine bay. has oem navigation but I donâ€™t believe it works. 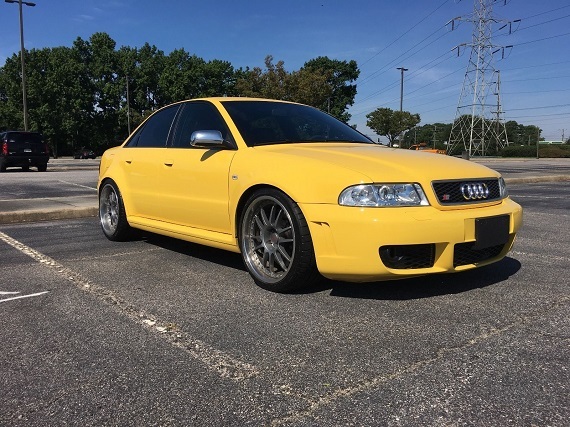 Guy I bought the car from in Long Island painted the exterior one shade lighter yellow than the factor Imola. 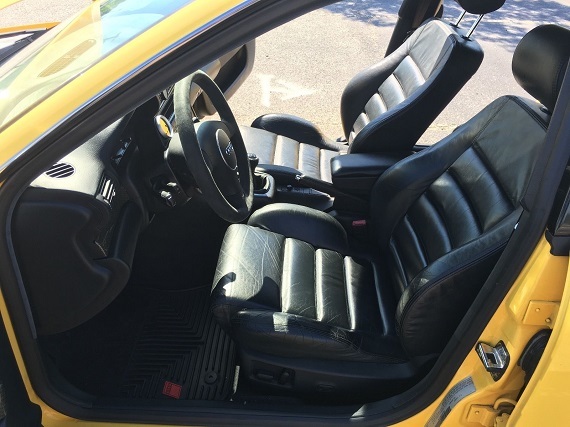 The door jambs are OEM Imola which doesnâ€™t match the exterior. The windshield washer tank doesnâ€™t work. I bought a new pump but connections didnâ€™t match and I never bothered with it again. 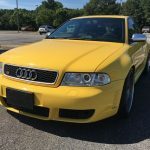 RS4 Foglights are removed to get more air to the intercoolers. Passenger side seat is missing one of the adjustment buttons. I had ceramic window tint installed and they forgot to reinstall the three baby seat tie downs on the rear deck panel. Please note: I can’t let the car leave my possession and won’t sign the title over before checks are cashed and I have cash in my hand. Too much fraud these days! Transaction is canceled if $500 deposit isn’t received within 3 days of auction closing, and you don’t make final payment within 10 days. 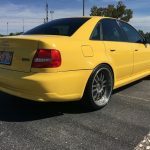 I also listed the car on Audizine car forum and may have to end this auction early if it sells there. 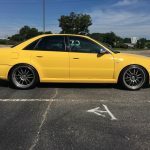 While it is not the current owner that did the build, they certainly benefitted from a tremendous amount of work that was performed to this car. Generally, that work is very impressive in nature. The car looks excellent overall and generally very original outside of the OZ wheels that I love but need a refinishing. The seller does disclose that the paint match isn’t perfect and there are some minor needs from the modifications, but if you add up the dollars invested in the top-notch components here you’ll come out so far ahead that it’s easy to overlook some minor flaws. 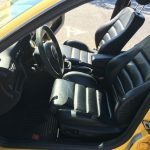 The result of this is that a lot of people seem interested; with five plus days still to go on this auction, the car has hit an astonishing $18,000 already. 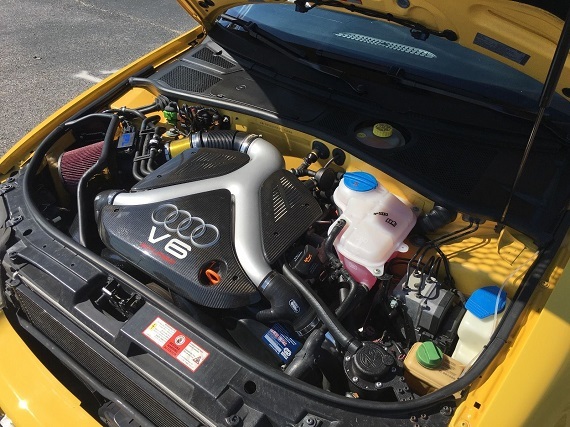 That’s heady territory even for much newer S4s, but is certainly less than was invested into the car in modifications never mind the purchase price. 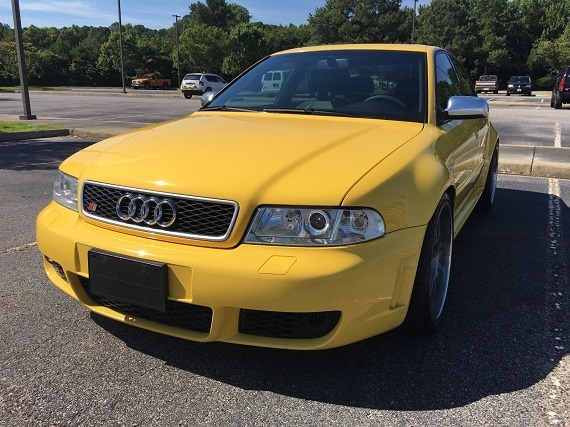 The only problem I see is that much more money and you’re knocking on the door of buying a real B7 RS4 rather than a replica. 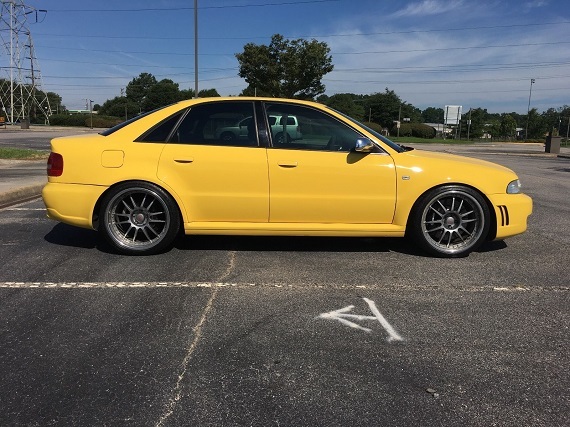 Granted, the turned up B5 will pretty easily dust the B7 in speed, but if the auction gets anywhere close to $25,000 I’d opt for the newer car, personally. Regardless of if it is what you’d buy at this price, though, we can appreciate the attention to detail and clean nature of this build, a model I wished more would follow. 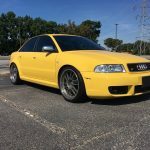 Tagged 2000, Audi, B5, Imola Yellow, RS4, S4, Torsen, Tuner Tuesday, Widebody. Demographics are fun. Alllll that work, time, money, and still a sagging headliner.